Hoya Kerrii plants are commonly given as gifts for Valentine’s Day as an alternative to flowers because of their heart-shaped leaves. 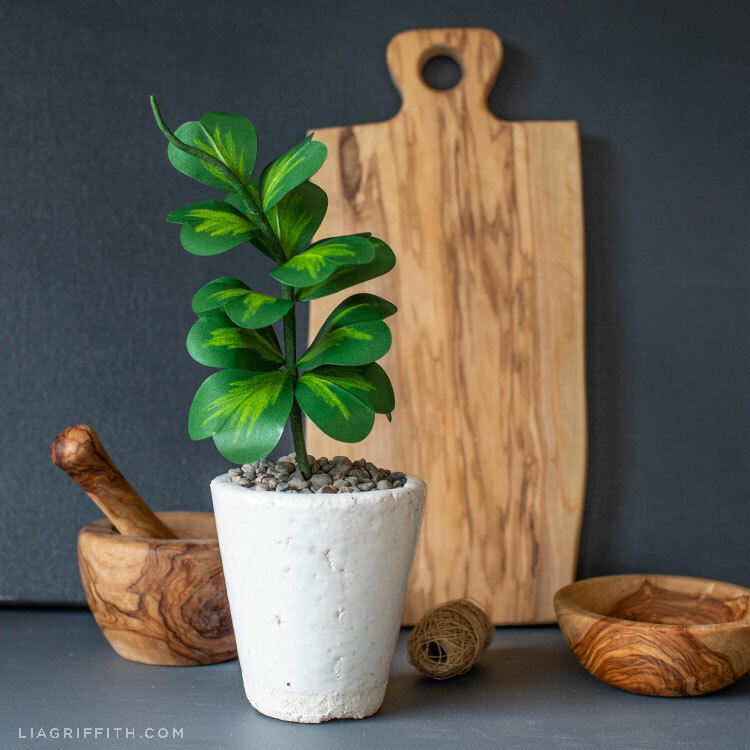 So if you have a special someone in your life who loves plants, we’re sure they’ll appreciate a handcrafted plant for Valentine’s Day that can last forever! 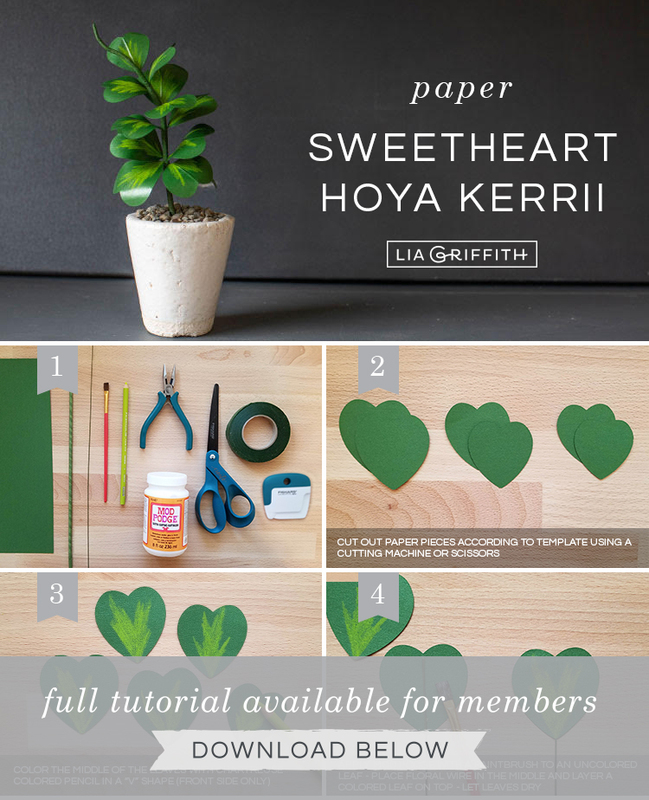 Our paper Hoya Kerrii plant is easy to make, even if you’re a beginner. Just download our pattern and tutorial below to get started. Because the Hoya Kerrii plant has heart-shaped leaves, it’s also known as the Sweetheart Hoya or Heart-leaf Hoya. This is also why it makes the perfect Valentine’s Day gift. And since you’re making it yourself, it’ll be even more meaningful! 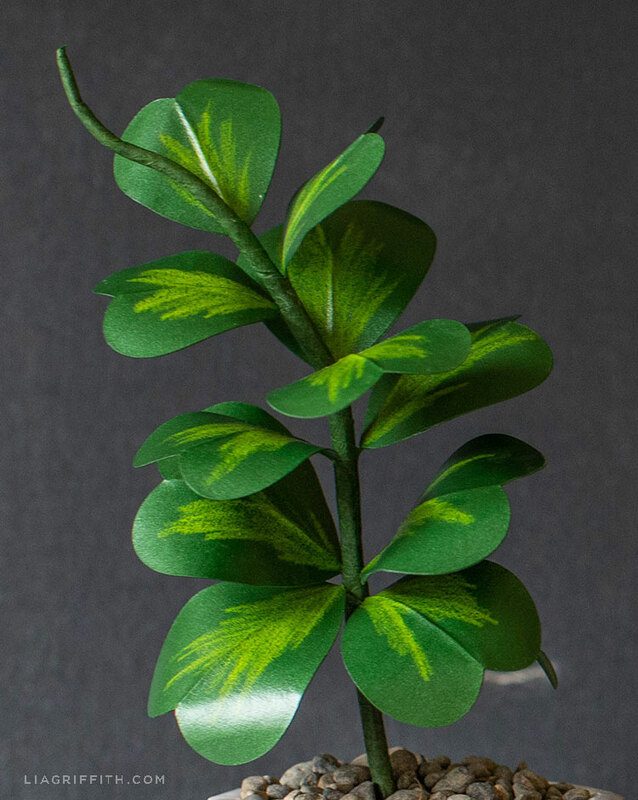 To give this paper Hoya Kerrii plant its characteristic bright green leaves, our designer Krista used a chartreuse colored pencil to color the green paper pieces. You can look at the photo tutorial for a better visual once you start working on this DIY project. She also bent her floral wire near the top to make it look more like a growing vine—another feature of the Hoya plant. Cut out your paper pieces according to the template, using a cutting machine or scissors. Each leaf requires two pieces of the same size. For our plant, we used three small, six medium, and three large leaves. Color the middle of the leaves with a chartreuse colored pencil in a “V” shape (front side only). Cut your 24-gauge floral wire into thirds. Apply Mod Podge with a paintbrush to an uncolored leaf piece. Place floral wire in the middle of the leaf and layer a colored leaf on top. Let the leaves dry. If you like our paper Hoya Kerrii plant, you might also like our paper oxalis plant, which is another fun one to craft for Valentine’s Day. 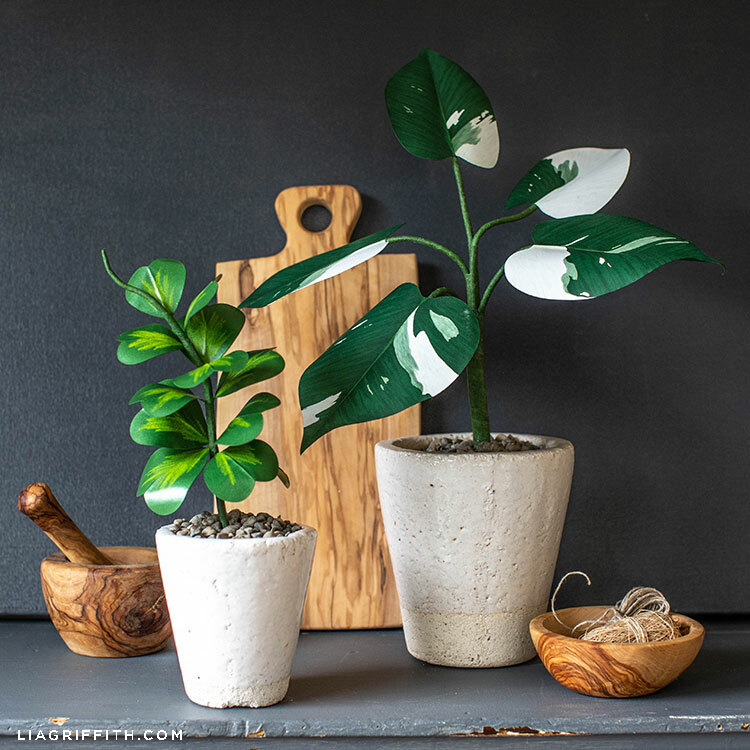 Or, you can browse all of our paper plants on the site. Have a suggestion? Let us know what you want us to make! For more DIY ideas, be sure to follow us on Instagram, Facebook, and Pinterest. We also have video tutorials to help you make paper flowers and plants, decorate with DIY décor, and more. 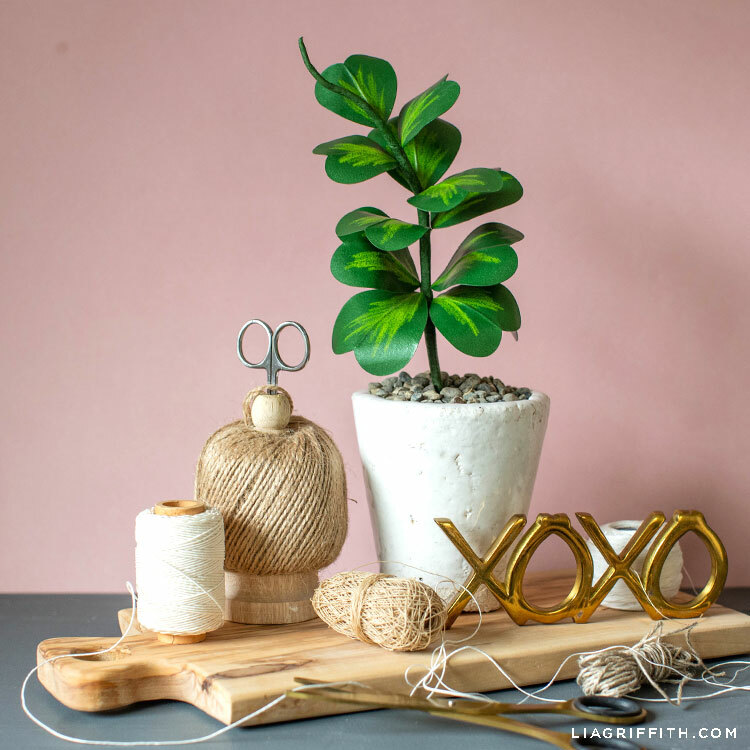 To start crafting with us, sign up for a Lia Griffith membership. The SVG file is trying to open in a new tab instead of downloading. Help! Thank you!! We aren’t having any trouble downloading– could it be a setting on your computer? Make sure you single/left click on the SVG tab. If you still have trouble, send an email with more details and a screenshot of what you’re seeing to hello@liagriffith.com. What is the dark green, light green and white plant shown in the last photo? The white and green contrasts on that are so real!